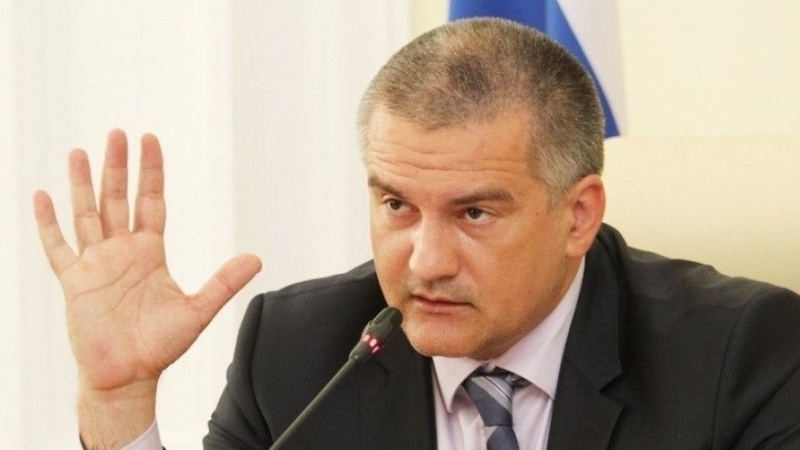 The so-called head of the annexed peninsula Sergei Aksyonov said that the transfer of several Crimean sanatoriums for children to the ownership of Russia is a normal practice. The so-called "authorities" of Crimea call the illegal transfer of the Pioneer sanatorium in Yevpatoria to the Republic of Ingushetia as an investment project, and its coordination and signing is planned at the forum in Sochi, which is to be held from February 14 to 16. “Preliminary we offered to our colleagues [from Ingushetia, - Ed.] those objects that are half-operating, requiring large investments, and for which we did not recieve any offers from private investors in Russia. In general, the practice of transferring ownership of the constituent entities of the Russian Federation for the purpose of filling sanatoriums and investing in them is available, and this is normal," Aksyonov said. Reportedly, the occupiers intend to transfer Yevpatoria camp Pioneer to the Republic of Ingushetia for free use. The authorities of Ingushetia have already stated that they plan to revitalize the children from their republic there. At the same time, the transfer of the Pioneer camp is not the first case when the "authorities" of the Crimea illegally give away sanatoriums to Russia. Last year, Chechnya was presented with a building in Alushta to open a camp for children, and the Republic of Bashkortostan was given the Yubileiny sanatorium in Yevpatoria.